Tektronix is a world leader in test, measurement and monitoring instrumentation to solve design challenges, improve productivity and dramatically reduce time to market for their customers. Tektronix Technicians and Engineers are already well versed in the IEEE 1149.1 standard and boundary-scan methods are widely used within Tektronix for testing their products. Using Automatic Test Pattern Generators (ATPG), boundary-scan applications such as interconnection tests, memory tests and a wide variety of cluster tests are created and used to structurally test boards coming from the manufacturing lines. This has proven to be an extremely effective and economical method to ensure the structural integrity of complex digital assemblies. However, using the ATPG approach of using boundary-scan can sometimes introduce a delay in debug of the first prototypes provided for design verification. When a prototype fails and no structural verification has been performed, there are many potential problems that must be investigated. Using boundary-scan you can quickly rule out hardware failures and immediately focus on software issues. It is possible to use a fully automated boundary-scan tool to create an application that checks continuity between two pins. Although highly automated, collection and preparation of the input data required can take some time. Using JTAG Live Buzz, it has become a simple matter of adding the BSDL files and dragging the pins into the Buzz window for which you would like to check continuity, requiring a small fraction of the time. The optional Clip plug-in provides a drag-and-drop interface to quickly create tests for simple logic clusters and provides the ability to present the vectors in a familiar logic analyzer format. “The option to display the data in a logic analyzer format would definitely speed up debug of initialization issues”, says Anthony Willis, NPI Test Technician. 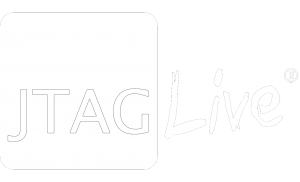 JTAG Live Script, based on the popular Python programming language, provides limitless capabilities for testing complex circuits such as ADC’s that are difficult to test with standard vector-based patterns. “Script allows us to create more powerful cluster test routines with complex data handling and flow control, and the ability to embed specific diagnostic messages in the Python modules themselves will greatly reduce debug time”, added Willis. Tektronix expects that JTAG Live will provide the capability to extend cluster testing as well as assist with the debug of issues in their prototype boards. The Python applications generated by Script are fully portable, thus can be reused in the existing production environment and will be called via TestStand.